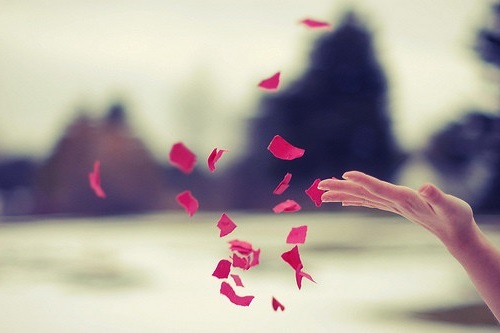 One of the hardest decisions in life is to move on and letting go. For that that reason we have prepared some of the best letting go quotes. And YES, it is hard to say goodbye and let go of something. All you have to do is to keep moving forward. Another best way to start is by reading these moving forward quotes. Give yourself a chance to become the greatest person you will be. Say goodbye to the past, and welcome each new day with a happy and hate-free heart. Life is beautiful; don’t waste your time believing that it is not. Let go of the things that keep on hurting you. Think of other reasons to live again. Everything will be fine. Nothing good will happen if you let the pain stay in your heart. Let go of it and live again. Moving on will be easy if there are people willing to help you. Seek help from your trusted friends and forget about the one who hurts you. We cannot let all things happen the way we wanted it to be. The truth is, there are things that are not in our control. Some will come, some will go. All we have to do is to accept that and move on. Always look beyond your current situation. You are maybe wasted and hopeless today, but who knows what will tomorrow bring? Beautiful things are yet to come if you will just keep on going. Let your pain today be your strength tomorrow. Show the world a version of better and stronger YOU. Everyone deserves to be happy, do not let other things or someone take that away from you. Moving on is not as easy as counting one, two, three. It takes a whole lot of time to heal and a huge amount of courage to carry on. Time will help you forget the one who hurts you until you became whole again. Courage, on the other hand, is your foundation to become stronger and confident again. God did not promise a world free of pain, but instead He gave us the strength to fight and endure any kind of it. In times of need, God is always there. I know how it feels being broken and left-behind. I also know that everyone who’s in that situation can overcome it and soon they will be fine. All things happen at the right time. You cannot let someone stay in your life even if you wanted them the most. Some people will go, but someone better will come. Whether you like or not, you have to accept it and move on with your life. There are things that are out of our control. We can get hurt, we can experience any kind of pain, and we can be broken. Good thing God is always there. He can make a way and He can help you go through all of these. You just have to trust in Him. He wants you to live, move on, and be happy again. Forget about your past, focus on today, and be ready for tomorrow. Life is a wheel, sometimes you’re at the top, sometimes you are not. Sooner or later, you will realize that there is more to life than locking yourself inside your room while crying the whole time. Move on and live again. The first step on being better and awesome is to forget about the things that cause you nothing but heartache. Leave it all behind and do not ever look back. Remember that life is meant to be traveled forward not backward. A broken-hearted person was lost for a while but they are always able to find their way back. Sometimes, those who we think are weak are those who are actually strong. They only need a little push and encouragement from us. Let’s help them fix their selves, and let them live a happy life again. Goodbyes are always painful. It will cut you deep and break you into pieces. It is now your decision if you want to stay where you are or move forward and pick up those pieces. Missing the person you once loved is fine. What is awful is trying to win him back after what he has done to you. Move on and do not ever think of turning back. If you can do it before, then you can do it now. Let go, and let your destiny take you to the place that is more beautiful and wonderful. Cut loose the person who keeps on hurting you over and over again. They are no use for you. How can I move on if his memory keeps on playing in my head? Every places we’ve been together reminds me of how happy we we’re before. But they are only a memory, things have changed. I guess they are right about moving on. It’s never easy, it’s never quick. Close the door of your past and start opening new doors of today. See for yourself the things your past is hiding you, and that is the beauty of today. Move on and see what tomorrow brings to you. But everyone should know that there’s good about goodbyes. It is God’s way of opening new doors for you. Here’s some keep moving forward quotes that will help you understand why everyone needs it. Have faith that you will be able to be as happy as you were before without her. Let the plan of the Lord lead you to the right person. Take His path and move on with it. Three steps in moving on: First, convince yourself that he/she is not the right one for you. Second, throw away bitterness and give way for forgiveness. Lastly, welcome new love. Give yourself a chance to be happy again. Make every morning new and fresh. Nothing is better than waking up without bitterness in your heart. Keep it up. Everything will be fine soon. If you think your relationship isn’t healthy anymore, then it’s about time to let go. Do not wait for the time that both of you will run out of respect of each other. Let go of it now before it takes too much from you. The love he has for you before is not the same kind of love he has for you now. Feelings may change, but never the memories. Only you will know if it’s worth fighting or not. Because if I were you, I will rather forget and move on than being so stupid waiting for things to go back to what it was before. Cry out every burden you have in your heart. It will help you ease the pain. It will make you feel better. And when you’re done with it, start to move on. Keep in mind that everything will be fine soon. Moving on will be hard if you don’t cut loose the bridge between your past and future. Leave what has passed to the past and start to live for your future. Be positive that things will turn out great. Stop wasting your tears for someone who doesn’t even deserve it. Show him you’ll be happy without him and leaving him is the best decision you’ve ever made. Being happy is the best revenge of all. Bring back your old self – the one who’s always happy and cheerful and funny. People who truly love you want these things back, but the person who hurts you take that away from you. Help yourself find your way back. Everyone is wishing you well. Not all people we think are good are actually good. There are some who will hurt you, put you in a hopeless situation, and will leave you crying. This kind of people doesn’t deserve our tears. Let us throw them away from our life and let us focused on other important things. Just because you start laughing again doesn’t mean that you have totally moved on. Only time knows when you’ll be fine. Moving on is a step-by-step process. Skip a step, and you’ll not be able to proceed. Do not let the pain stay in your heart. Better let go of it before it takes away everything from you including your happiness. Don’t leg go not in any case. Keep your head up and use these moving forward quotes to boost your spirit and soul. The best way to easily move on is to let go and let God. Leave everything to Him and trust with His power. Nothing is impossible to our God. Your tears will never stop if you will not let go of the pain you have in your heart. Think of other things that makes you happy and divert your attention to it. Slowly you will realize that you can do things like before. Be the great that you can be. Always look on the brighter side. Things happen for a reason. You were left behind because someone better is coming. No one knows when, but definitely someone will come. Wait patiently, and see for yourself that there’s good life waiting for you. Moving on may sound easy but believe it or not, it is not. Some people cannot do it, even after many years have passed. That was because they chose not to let go of the memories of their past. If you want to be happy, stop living on the past and start living a new life. The best thing you can do after someone hurt you is to show that person that you can stay happy even without him. On that very reason, he will realize that it is his lost not yours. Decide for yourself whether you will stay on where you are right now or you will move forward and forget about the things that you’ve been through. Live a new life without bitterness and open new door for new opportunities. One of the best things you can do to help you move on is to join a group that share the same feelings as yours. You can learn from them and they can learn from you. Time will come that your heart will find peace and it will learn to beat again. Believe. Forgive. Move on.